A spectcular week of ski mountaineering on the famed peaks of Chamonix capped off by an ascent and ski descent of Mont Blanc, Western Europes highest peak. 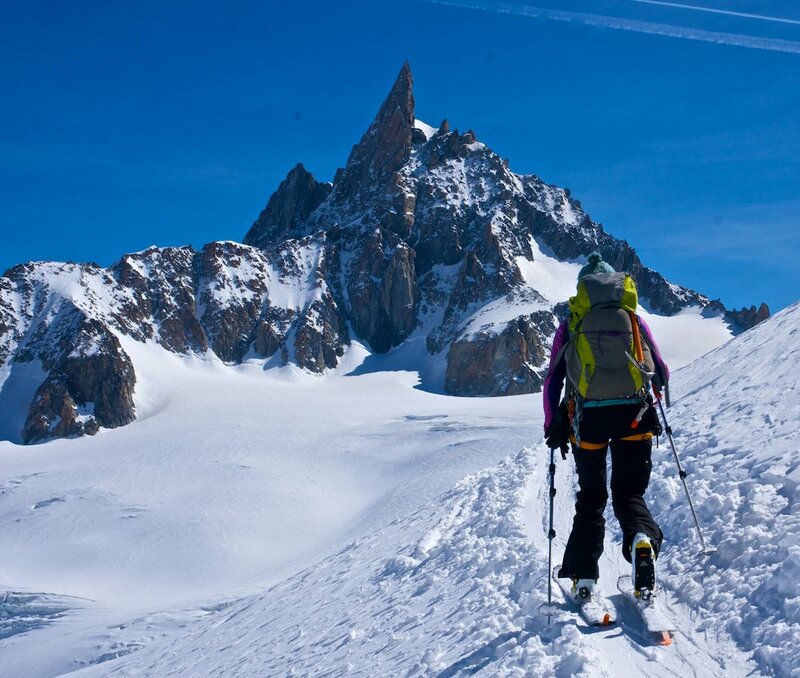 Skiing Mont Blanc is the goal of many ski mountaineers and if you are a backcountry skier already it is the best way to summit Mont Blanc. We begin by skiing some classic lines in the Chamonix area off the famous Aiguille du Midi, Argentierre Glacier and more. After three days of off piste skiing in Chamonix you will be prepared for the main event - the two day summit and descent of Mont Blanc in which we will stay overnight at an alpine ski hut. The ascent of Mont Blanc involves mountaineering skills such as ice axe and boot crampon use and we will review these skills with you. The ski descent from over 15,000 ft is big and rewarding. We run this trip late in the touring season when weather conditions for Mont Blanc and the high alps are usually ideal. This ski trip gives an excellent sampling of what Chamonix and the Mont Blanc Massif has to offer the skier. If you have always wanted to ski Chamonix as well as summit Mont Blanc this is the perfect trip for you. 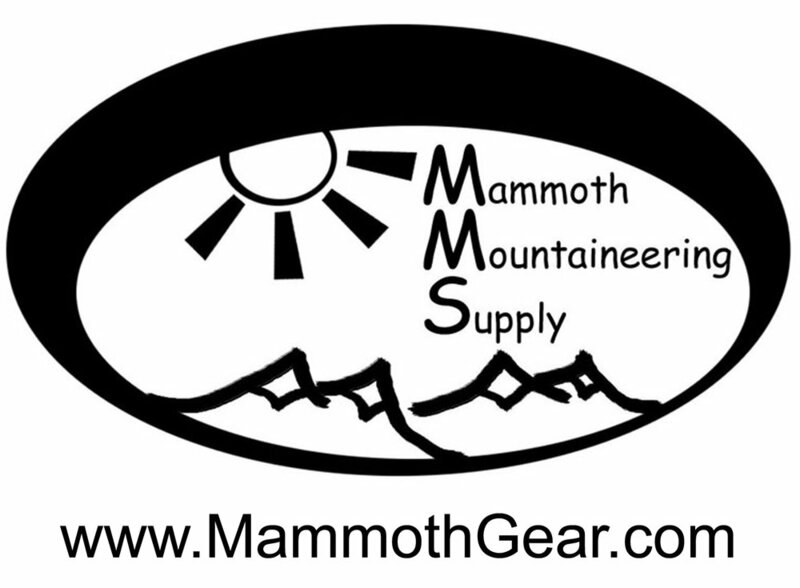 Advanced level skiers with some previous backcountry skiing experienceis required. You should be comfortable skiing black diamond runs at a resort in most any conditions. No previous mountaineering experience is required. Very good to excellent physical condition is required. The Mont Blanc Ski tour includes all of your lodging with breakfast, mountain hut fees with dinner and all lift tickets. Lodging in Chamonix is at a comfortable chalet with kitchen. Dinner options include the many fine restaurants in Chamonix or cooking in the chalet (not included). One night mountain hut fees with breakfast and dinner. Skiing the classics of Chamonix. We will decide upon each day's objective based upon conditions, weather and group strengths. Options include the famed Vallee Blanche and it's variations off the Aiguille du Midi, The Tour Noir off the Argentierre Glacier, a ski descent over into Italy and the Col du Brevard among others. Today we board the Aiguille du Midi lift and get off at the mid station. We skin and climb up to the Grand Mulet hut for the night in preparation for our ascent of Mont Blanc. Summit day on Mont Blanc. We skin and climb using ice axe and boot crampons up to the Dome du Gouter and then take the final ridge to the summit of Western Europe's highest point. From here we ski back to the mid station of the Aiguille du Midi and descend to Chamonix for a final celebratory night in town.